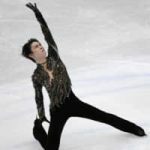 Figure skating Olympic champion Yuzuru Hanyu will not compete in this month’s World Championships in Italy due to injury, Japan’s Skating Federation said on Wednesday. I”m sure that we all feel that head injury/concussion are important issues, but this story sounds to me like parents believe that protecting their children is someone else”s responsibility. Why can”t parents be expected to inquire with the team/league/coach and demand proper injury protocols? If they don”t get the answers they like, don”t enroll your kid. There is another league that would care enough to protect them and would love to have them. Why involve the government at all? What will this law actually do that parents could not accomplish by themselves by being the tiniest bit more inquisitive and selective in the organisations they involve in their children”s lives? Passing this law is passing the buck. “I don”t have to care, the government made a law to look after that for me. Also, who bears the cost for the “mandatory training? Player fees go up? Taxes? If parents could vote on protocols with their $$ you would have real change at less cost. Mandatory training only raises costs and leads to coaches/staff who achieve the bear minimum required as the costs for mandatory training are prohibitive. Parents see the government stamp of approval and never look deeper. Who benefits from this? Higher player fees due to expensive mandatory training for coaches only means that those on the margin are now excluded from the sport. Well done Ontario. Nanny state indeed.